Welcome to the A K Kirby website. 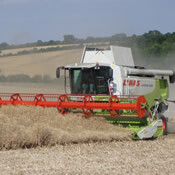 We were established in 2000 to provide an efficient and reliable agricultural contracting service to Hampshire and the surrounding areas in central southern England. If you cannot find what you are looking for on any of our pages or you have any questions, please feel free to get in touch, all of our details can be found on the contact us page.